Thanks to clan Kardashian-Jenner sharing pretty much every aspect of their lives with the public, we know quite a lot about Kylie Jenner and her family. However, it seems there’s always more to learn. 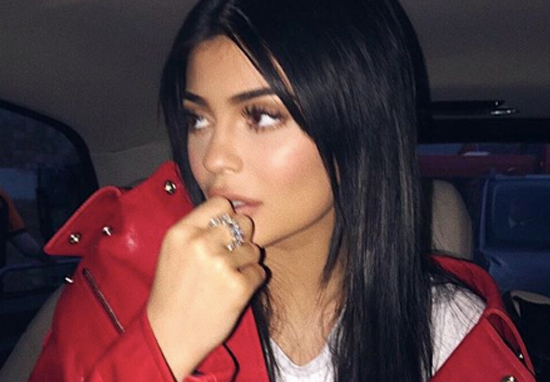 Following the news that Kylie is on track to overtake Mark Zuckerberg as the youngest ‘self-made’ billionaire (more on that later…) the 20-year-old has appeared on the cover of GQ magazine with her boyfriend, the rapper Travis Scott. In the photo, while Travis is dressing sharp in a pinstripe suit and white brogues, Kylie sits on his knee in a black bodysuit that shows off her legs. However, fans were quick to point something else on the cover shoot – a fairly massive scar on Kylie’s left leg, and she’s now revealed the story behind the mystery marking. In a behind-the-scenes video during the photoshoot, the scar is brought up in conversation thanks to that classic game of ‘how well do you know your partner’. Travis: Biggest scar? On your leg. Kylie: He really knows my body. Despite the enlightening exchange between the couple, Kylie has now put fans at ease and explained how the scar came to be. When I was about 5 my sister and I were playing hide and seek and I hid inside this really tall-enclosed gate. After a while when my sister didn’t find me I had to climb up on this sharp pole sticking out from the gate. I slipped and the pole went into my leg. I tried pulling away to get the pole out but it just tore through my whole leg. It’s smaller now though because I grew! For someone who is often subject to the ‘what work has she had done’ debate, it’s refreshing to see the make-up mogul and reality TV star embrace an imperfection. Thanks to another magazine cover, we learned recently that Kylie is set to become the world’s youngest ‘self-made’ billionaire – a title that has proved to be a hot topic among readers. According to them, Kylie is currently worth an astonishing $900 million thanks to her cosmetics line. Once she hits the $1 billion mark, she will overtake the Facebook founder as the youngest-ever self-made billionaire. However, the tagline ‘self-made’ has become a contentious issue, with many people chiming in to point out that, arguably, Kylie isn’t exactly ‘self-made’ thanks to her already very rich family and status. Self-made or not, there’s no denying that Kylie has built an empire thanks to her cosmetics line, social media output and general celebrity status, reportedly bringing around $49.3k (£37.4k) per 24 hours. Not long before the billionaire status becomes reality then!